Tooth decay can happen anywhere, even under your dental restorations. Tooth decay can still form under the filling, especially if it is old, chipped, or cracked. According to Beverly Hills Endodontics, bacteria and debris can work its way under your fillings causing additional cavities. Because you cannot brush under your fillings acids that cause tooth decay will start to eat away at the enamel on your teeth. Unfortunately, the decay could become quite extensive before you notice any pain. 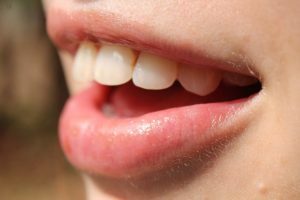 Advanced Endodontics of Beverly Hills recommends that you get your fillings checked every time you have a dental appointment. That way the fillings can either be repaired or replaced. According to Advanced Endodontics of Beverly Hills, your dentist will inspect your teeth and look for discolored spots that could indicate tooth decay. An instrument will also be used to check that your enamel is hard. If the enamel is decayed it will be softer making the instrument stick into the tooth. A good dentist will make sure that he or she doesn’t use too much pressure as it could damage an otherwise healthy tooth. Pressing too hard could also cause bacteria to spread causing tooth decay in your other teeth. 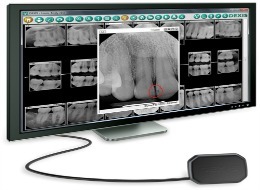 X-rays can also detect decay although dental restorations can sometimes mask decay. An x-ray might not pick up smaller cavities on the top surfaces either. Sometimes a dentist will use a cavity detecting dye that is rinsed over the tooth. The dye will stick to the decayed teeth and rinse away from your healthy teeth. Laser fluorescence is another way to detect tooth decay. Using a small wand, your dentist will measure any changes. These wands are very useful for fissure and pit areas on the tops of your molars. Having regular dental checkups can detect the early signs of tooth decay, which could help you avoid unnecessary treatments such as root canal therapy.